He's is best remembered by Mets fans for hitting three home runs in one game. 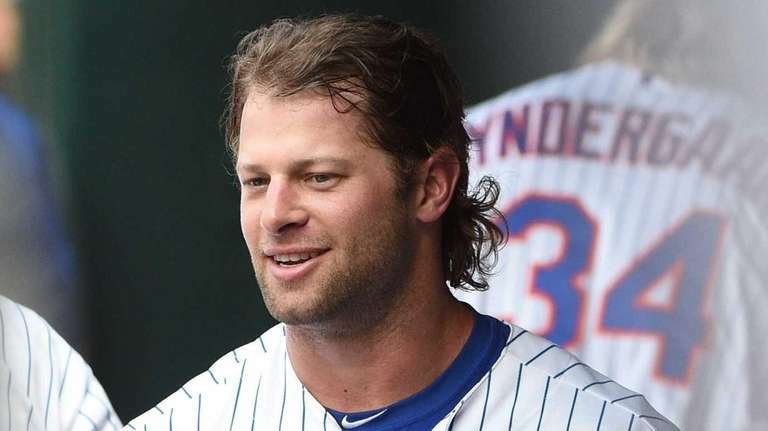 Kirk Nieuwenhuis, a former Met remembered most for hitting three home runs in a July 12, 2015 game, signed with the Long Island Ducks, the team announced Tuesday. 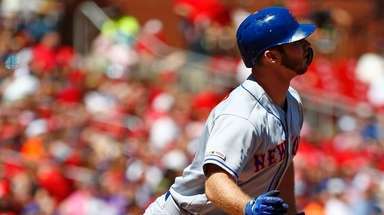 He played parts of six seasons in the majors, including 263 games with the Mets from 2012-15. Nieuwenhuis’ last big-league action was with the Brewers in 2016 and 2017. 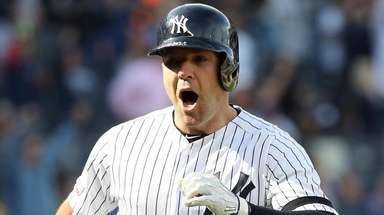 He spent last season in Triple-A with the Mariners, hitting .214 with four home runs and 31 RBIs in 80 games. Backman managed Nieuwenhuis in the Mets minor-league system. Nieuwenhuis’ best stretch with the Mets came after they claimed him off waivers from the Angels in June of 2015. He hit .279 with four home runs and 11 RBIs in 37 games, including becoming the first Met to hit three home runs in a single game at home. Nieuwenhuis played in four games during the Mets 2015 postseason run, including three World Series games. He went 0-for-4 with two strikeouts in that stretch. Nieuwenhuis will be part of the first Ducks team to play under experimental playing rules that MLB and the Atlantic League agreed upon earlier this offseason. The rules include electronic plate umpire assistance in calling balls and strikes; requiring infielders to be on each side of second base when the pitch is released (effectively eliminating shifts); a ban on non-pitching-change mound visits except in the case of a medical issue; pitchers having to face a minimum of three batters or reach the end of an inning before exiting a game, unless they are injured; increasing the physical size of the bases from 15- to 18-inches square, and reducing the time between innings from 2 minutes, 5 seconds to 1:45. Nieuwenheis is the 10th player and sixth former major-leaguer added to the Ducks’ 2019 roster, which will continue to take shape as the team approaches its April 26 opener. The other former big-leaguers include outfielder/designated hitter Lew Ford (Twins, Orioles), outfielder Daniel Fields (Tigers), infielders Ivan De Jesus Jr. (Dodgers, Reds, Red Sox) and David Washington (Orioles), and pitcher Tim Melville (Twins, Padres, Reds). Other additions to the pitching staff include returners Jake Fisher, a top-of-the-rotation lefthander, and Tyler Badamo, a Mount Sinai native.